That's better but still looks icy cold! Mrs DP tackles that prey item again, thank goodness she is keeping herself well fed! 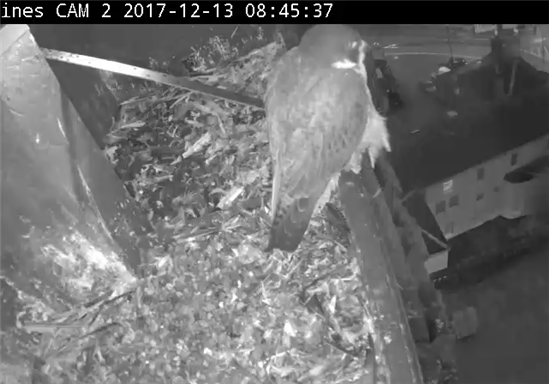 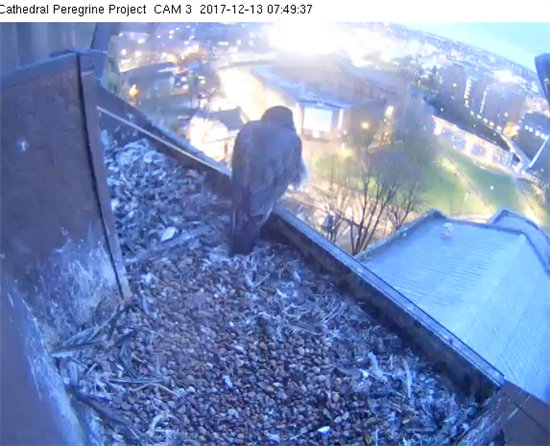 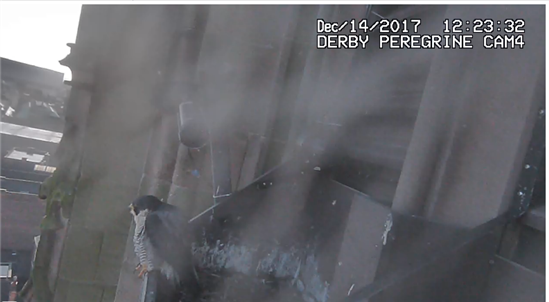 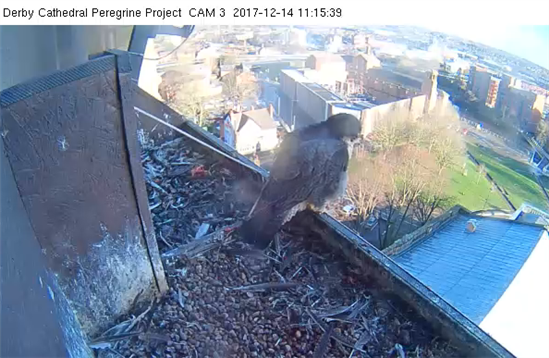 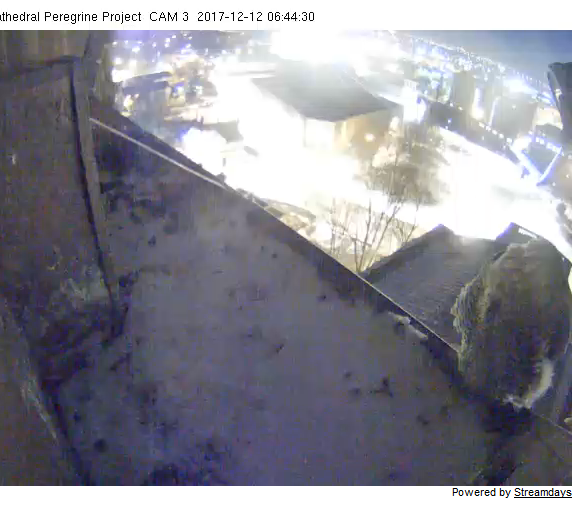 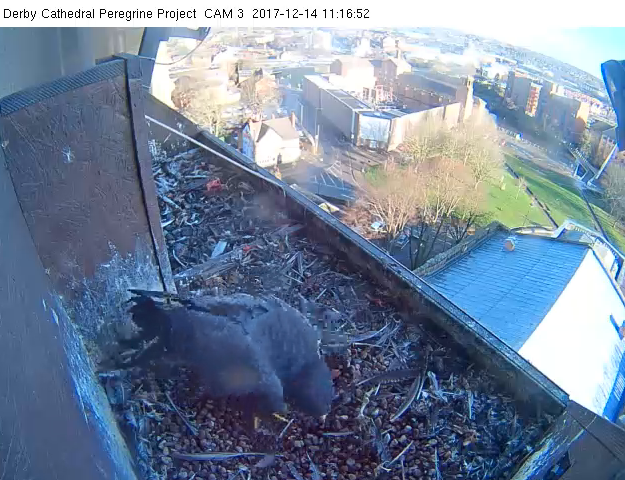 Love how she comes back for seconds, and love how she dances on the ledge, trying to free her talons of all the gunk!!!!! 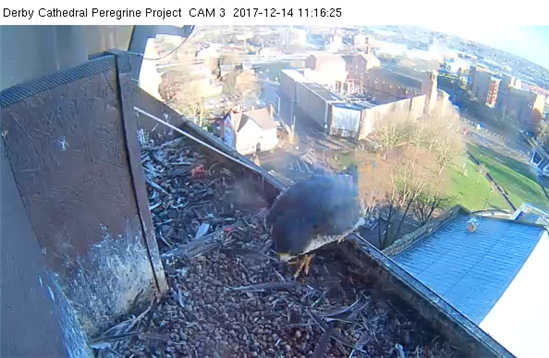 Hello and Good Morning to Mrs, just going to have a little check of scrape.